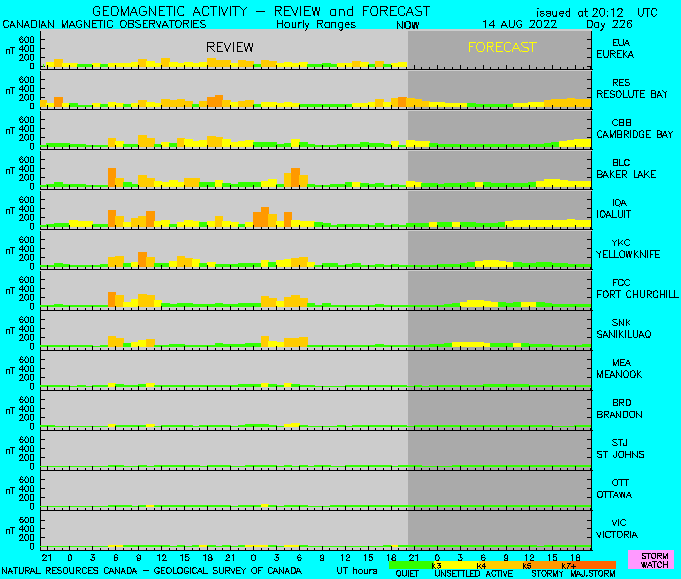 This is the current geomagnetic conditions/forecast and its not even totally cloudy, its just that its totally sunny.... I hope someone in Russia is looking upwards or maybe its still dark in Tuk. You can follow the geomagnetic activity in all these stations by going to spaceweather.ca which is where I got the above image. In the meantime, I'm now listening to a great rap about the transmission of nerve impulses - wicked!